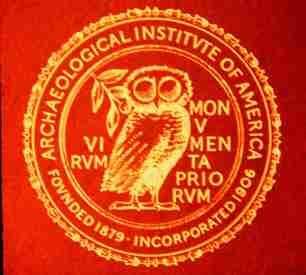 The Archaeological Institute of America (AIA) is North America’s oldest and largest organization devoted to the world of archaeology. Its members include professional archaeologists, corresponding members, students, and enthusiasts, all united by a shared passion for archaeology and its role in furthering human knowledge. The AIA’s mission is to promote archaeological inquiry and public understanding of the material record of the human past to foster an appreciation of diverse cultures and our shared humanity. Its project include supporting the research of archaeologists, educating people of all ages about the significance of archaeological discovery and advocating the preservation of the world’s archaeological heritage. 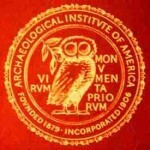 The Mississippi-Memphis Society of the AIA was founded at the University of Mississippi in Oxford by the distinguished classical archaeologist David M. Robinson in 1948. In 1982 the University of Memphis joined us in a mid-south collaboration, and Rhodes College also participates. The annual lecture series of our local society offers the public the opportunity to see and hear presentations by renowned and experienced archaeologists. Talks sponsored by the national headquarters are regularly supplemented by a variety of locally sponsored events. Lectures are free to the public, but those with a special interest might want to consider becoming a member of the AIA. Your membership includes a subscription to Archaeology magazine. Use society number 250 to join our local Mississippi/Memphis group!